Zeng Landscaping – the superior choice. Family owned and operated, now in its second generation, Zeng Landscaping has done outstanding, Award Winning design work for 30 years. • knowledge and use of wide variety of products available. Our approach includes consulting prior to and during construction, proactive trouble shooting especially with drainage and grading issues. 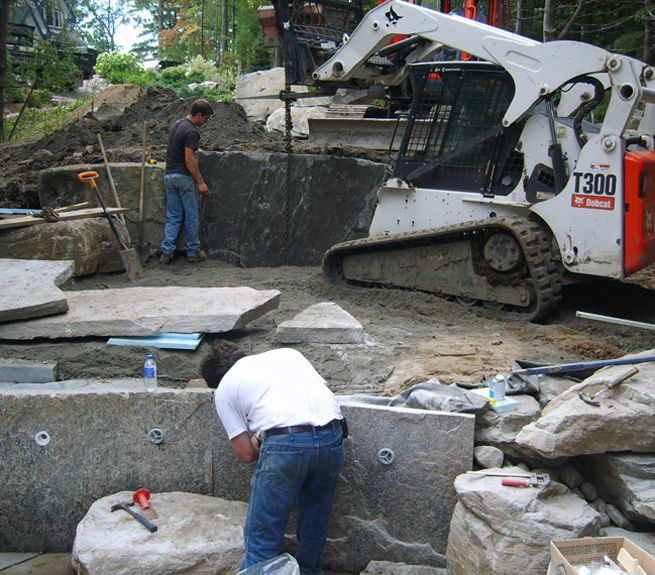 Zeng Landscaping is hands-on from start to finish of your project, managing a tight crew of local craftsmen and trades, focusing on quality, efficiency, reliability and strong client relationships. The commitment of Zeng Landscaping to superior quality and service, ability to arrive at innovative solutions, hands-on approach, 30 years of experience set it head and shoulders above the competition.